Which song do you like better: Band-Aid’s Do They Know It’s Christmas or Duran’s Secret Oktober? 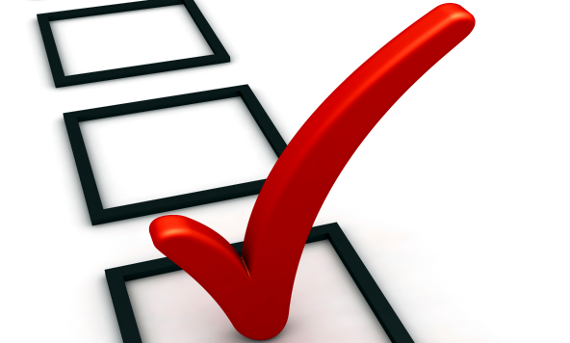 Which song do you like better: Do They Know It’s Christmas or Early Summer Nerves? It’s Monday, and there’s another year-end Katy Kafe up at DDM, this time with the ever-delightful John Taylor! Don’t worry if you haven’t listened because we’ve got the highlights. As done with Roger, Katy opens the Kafe by asking about Band Aid. John talks about how the song is a testament to Bob Geldof’s entrepreneurial spirit and Midge Ure’s musical talent. He describes the experience as being “rare” with sublimated egos. The song itself? John Taylor calls it a “good pop song that hasn’t gone away”, going so far as to say it was the best pop song of the era. Can’t totally agree, given that Rio et. al was also of that time…but you know, “Do They Know It’s Christmas” holds its own. John also comments that Peter Blake‘s sleeve artwork is some of his favorite. John Taylor was less-than-thrilled with the albums this year, and begins by saying he doesn’t really know if there was one that was his favorite, although he does mention Mark Ronson’s song “Uptown Funk“, feat. Bruno Mars as being the song of the year. Eventually though, John mentions a particular compilation of Elvis Presley songs as being music that has come to be important to him. Up until this past year, John liked the early Sun Records recordings that Elvis had done, but on this particular CD – “From Nashville to Memphis 1969”, in particular a song called “This is My Story”, struck John. So there you have it, music fans. Want to know what has inspired John this year? Get hold of some Elvis and go listen! Katy asks about movies this year, and John says he didn’t see many movies, sticking mostly to television. He mentions “Nashville” in particular, claiming to once again be addicted to the show. He says it is the best TV series (ever) about music and likens the songwriting process seen on the show to real life. He also mentions other shows such as “The Knick”, “Orange is the New Black”, “The Fall”…and generally just likes TV!! Once again, John prefaces by saying he didn’t go to many concerts this year…which is why it didn’t shock me when he mentioned Miley Cyrus. We’ll skip talking about her and move right on to Eminem and Fleetwood Mac, which were apparently very good live. He mentions their longevity and how there’s a sense of camaraderie on stage with them that Katy also sees with Duran Duran (agreed!!). On the other hand, John mentions how back when he saw The Police on tour, they never even used to look at one another – but that they were always that way, as an audience member you could always sense the tension there and it was one thing (of many) that made them interesting. John didn’t read many books this year, either. (What did he do all year – you’d think he was stuck in this studio this year or something!) 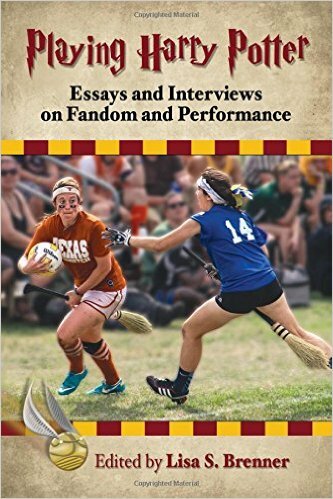 He does mention The Glitter Plan, by his wife Gela and her business partner and best friend Pam Skaist-Levy and proclaims this to be the book of 2014. In the summer, John went to see The Winter’s Tale and loved it so much he returned to the studio to insist that everyone else go see it. Nick and Simon went and apparently loved it as much as John. John Taylor also talked about working with Nile Rodgers. For John, Nile really helped to elevate his playing. Nile would play guitar and rather than instruct John as to what to do – John would simply play along, being inspired by Nile. He is the “total musician”, and John is still feeling how playing with Nile changed him. He would love to play songs they wrote with Nile on a stage. He is looking forward to getting the album out, although it appears we’ve still got quite a wait ahead. John says that the album may be out “In June”, but with some serious hesitation, adding that “It’s possible…” He says they have a lot of work ahead of them to do in order to make that goal, which is nearly the same exact thing he said last year at this time. He said they finished “on a high” this year by getting the first stage of mixes done with Spike Stent and now he just looks forward to Christmas in the UK with friends and family, smelling pine trees and wrapping paper. 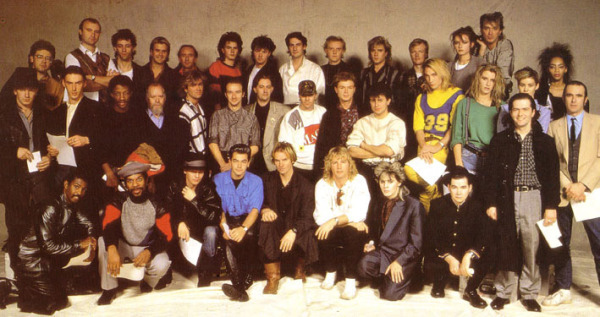 I know I’ve already done a date in history for today, but also on this date in 1984, Duran Duran, and particularly Simon LeBon, was featured in Bob Geldof’s and Midge Ure’s project “Do They Know It’s Christmas”, by Band Aid. On a day where it’s pretty difficult to get into the holiday spirit…I think it’s uplifting to see that yes, we really can make a difference. Music matters. 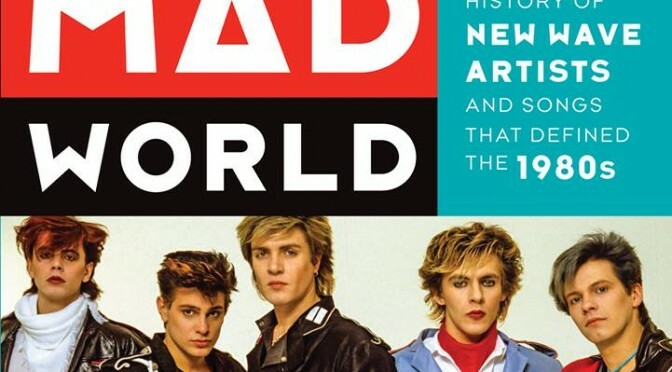 One single song, one single Duran Duran song (yes, I felt it was theirs) made a difference. I remember being 14 (goodness gracious) and feeling a sense of pride hearing that song on the radio. The band participated in something that mattered, something that was going to make a difference. Buying a single piece of music helped make the world better…all very lofty ideas for a kid. Never mind that Simon thought he was doing a solo with Sting or that he was pretty annoyed to realize he was going to be sharing the microphone with many, because I didn’t know any of that in 1984. I believed it was all for the greater good. Helping the world…hell, saving the world. Nowadays, it’s impossible to miss what’s going on around us. I am sure most have read the headlines this morning, watched the videos, and were probably shocked by the photos coming from Ferguson. It even has it’s own set of hashtags on Twitter, for crying out loud. It blows my mind, in some respects, that we’re still dealing with the same sorts of problems now that we were back in the sixties. Nothing seems to change fast enough, and yet everything seems to move way too quickly in this world. Well, back in 1984 I really did believe we were changing things, making a difference, doing good for the world with a single song. Call it naivety, innocence…maybe even a little ignorance, but I believed. I bought into the ideals. Hook, line, sinker. For me, “Do They Know it’s Christmas” was the Christmas song to own. One single Duran Duran song turned Autumn into the holiday season for me, and what’s really funny is that it still happens to this very day. At some point just before Thanksgiving I will turn on the radio to our local “Holiday Music Station” (KOST 103.5) just to try and feel a little more in the spirit – and “Do They Know It’s Christmas” will come on, in all of it’s glory, and I’ll smile. I’ll forget the trials of being an adult, and something in me clicks. I’ll start thinking about how I felt sitting in the backseat of my parents old green longer-than-a-city-block Mercury as the song would start and we’d more than likely be out looking at Christmas lights, as we always did more than once during the holiday season. Sure, I was a kid and didn’t really know much about the world around me at the time – but I believed there was more good than bad. Somehow, I think we all still need a bit of that today. Bob Geldof says there’s no way he’s going to rerecord every Duranie’s favorite Christmas tune, “Do They Know It’s Christmas”….except that it turns out he is. In what he claims to be “the worst-kept secret ever”, Bob Geldof announced today that there will in fact be a new version of “Do They Know It’s Christmas”, available next week. This time, the lyrics are being reworked for the Ebola crisis and will feature recording artists that are more than likely much more notable to today’s teens than those of us still clinging on to the original “Do They Know It’s Christmas” by our fingernails. This version is our most beloved from 1984, and is the one that I hear whenever it’s played on the radio. This was recorded in November 2004 for the 20th anniversary of the recording, and also reached number one. This version featured an extra rap segment by Dizzee Rascal during the “here’s to you” section. 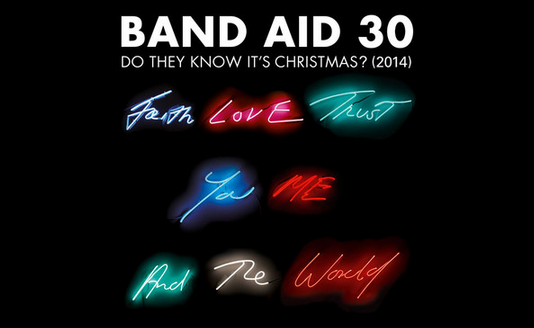 Which brings us to the present, Band Aid 30, which is set to record next Saturday. Coldplay (contributing from Los Angeles), Jessie Ware, Paloma Faith, and Sinead O’Connor have signed on to record the newest version. Interestingly enough, Bono is the only artist to sing the same line in the original and recent versions, and he is set to record with the yet-to-be-fully-announced group on Saturday. Geldof mentions that other “giants” of rock and roll have yet to be announced. While I applaud the idea of doing something to fund the campaign against Ebola – dealing with the problem at it’s source, I have to wonder if this version will ever reach the heights that the original, beloved original once did. The original song was a first, it was wholly unique, and dammit – it featured Simon LeBon.